Coming September 20, 2014. Unique trail running adventure in the Canadian Rockies and…a helicopter ride! 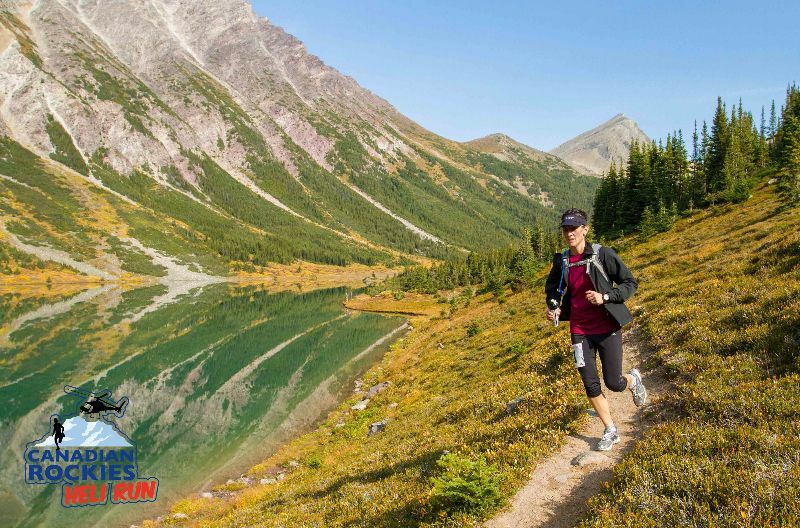 The Canadian Rockies Heli Run offers two special options: a two person team marathon or a solo half marathon. If you choose the team option, one person runs from the Cline River Heliport to a beautiful alpine lake and flies back by helicopter and the while your teammate flies to the lake and runs back to the heliport. If you choose the solo option, it’s a half marathon and you can pick which direction you run and which direction you chopper back. Both legs are 21 km long but of course, vary in ascent and descent. Gorgeous scenery, fresh mountain air, and a helicopter ride – what more could a TrailblazerGirl ask for? !